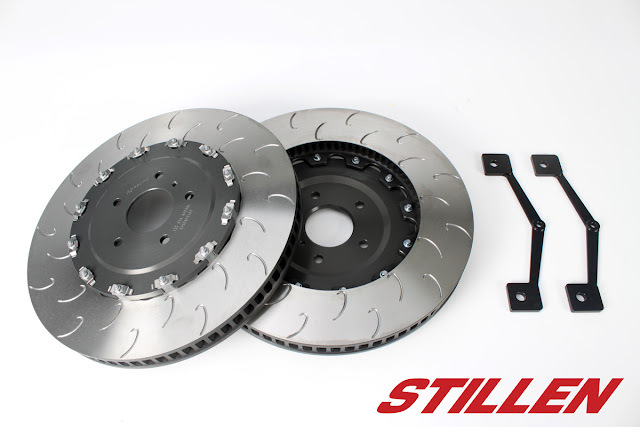 The GT-R’s original equipment (OE) brake discs just don’t have the staying power when pushed to the limits. Premature brake disc cracking is something no one wants to see after a day of fun. It didn’t take long for many to realize this is one of the few areas of weakness in an otherwise incredible car. 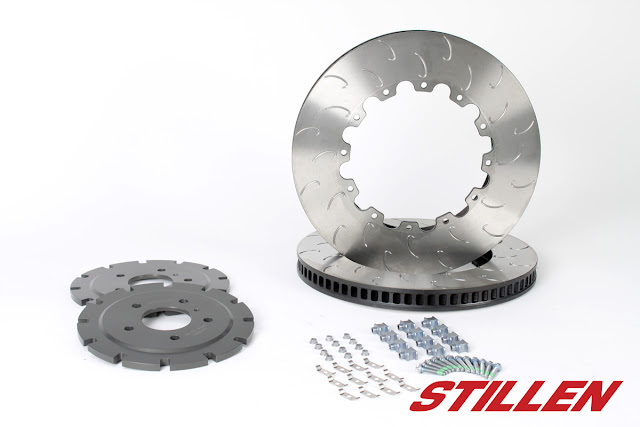 STILLEN and AP Racing have been offering 380 mm x 34 mm front, and 380mm x 30 mm rear bolt on replacement disks for the Nissan GT-R for several years. 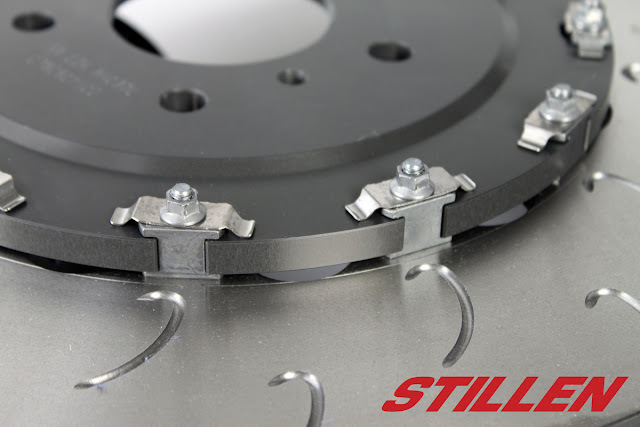 The AP Racing 48 vane curved rotors, have been proven by owners in the US, often lasting 5 times as long as the factory rotors under harsh track conditions. For 2012 in the US, Nissan increased the diameter of the front brake rotors on the GT-R, but they went thinner(32.6mm) to keep the weight the same. In a car with braking rotor issues, weighing in at 3829 lbs, this didn't make much sense. Why not make the rotor 390 mm, and keep the same thickness 34 mm, as the early car? 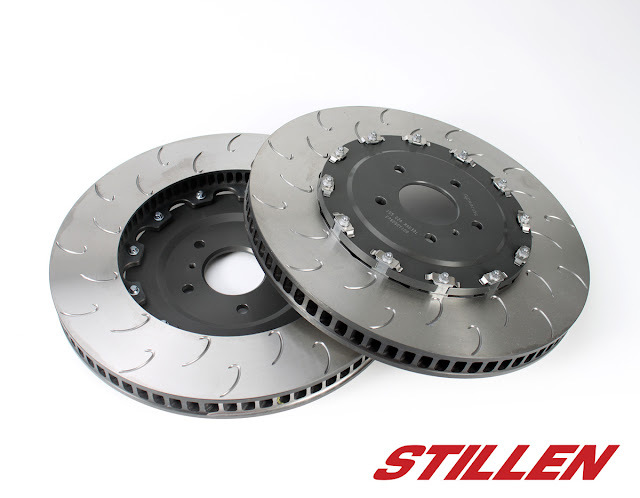 AP Racing, and STILLEN have answered this question, with an all new 72 vane, 12 attachment point(vs 10 stock), 390 mm x 34 mm rotor that will bolt onto a 2009-2013 Nissan GT-R.